GUI-driven generation of CSS3 buttons. Is there a better alternative to CSS3 ButtonBuilder? 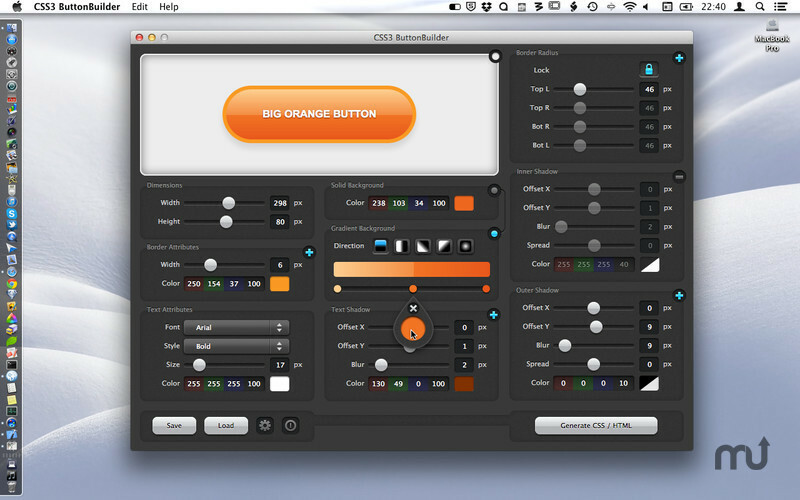 Is CSS3 ButtonBuilder really the best app in Designs and Graphics category? Will CSS3 ButtonBuilder work good on macOS 10.13.4? 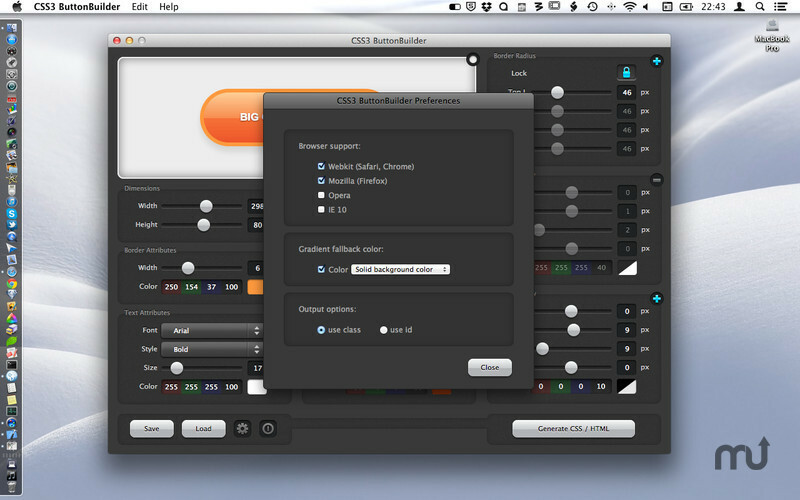 CSS3 ButtonBuilder lets you visually design spohisticated, cross-browser CSS3 imageless buttons. By simply adjusting the sliders for each property, you have full control over the design, and once you are happy with the result you can output cross-browser CSS3 code ready to use in you CSS3 stylesheet. 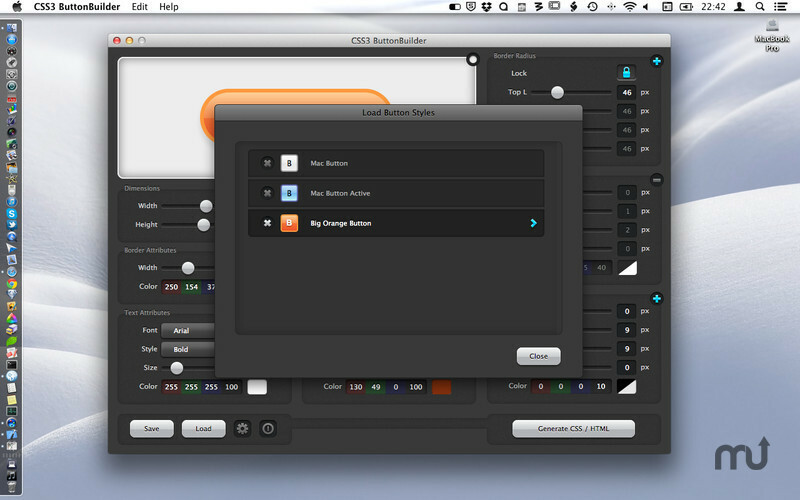 CSS3 ButtonBuilder also lets you save all your designs for re-use. 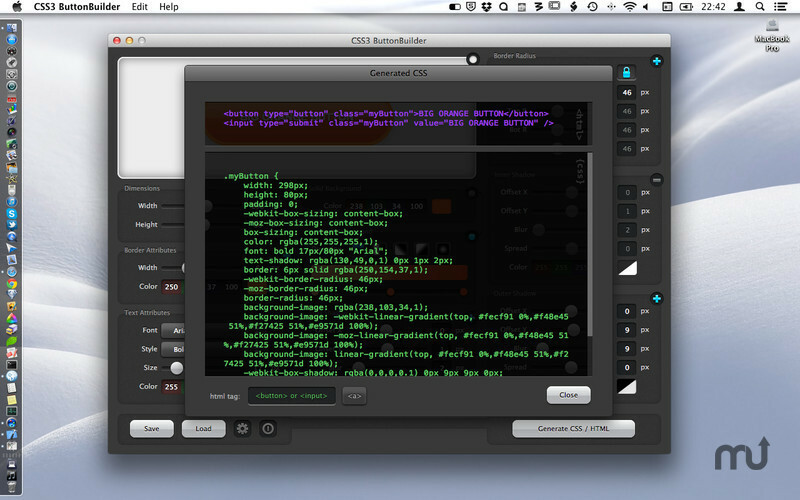 Added menu commands and keyboard shortcuts for: Save Button, Load Button, App Preferences, Reset, Generate HTML/CSS. CSS3 ButtonBuilder needs a rating. Be the first to rate this app and get the discussion started!